If you haven't considered the Pacific Northwest for retirement, maybe now's the time. Known for its beautifully diverse landscape, the Pacific Northwest provides a unique retirement opportunity for active adults. 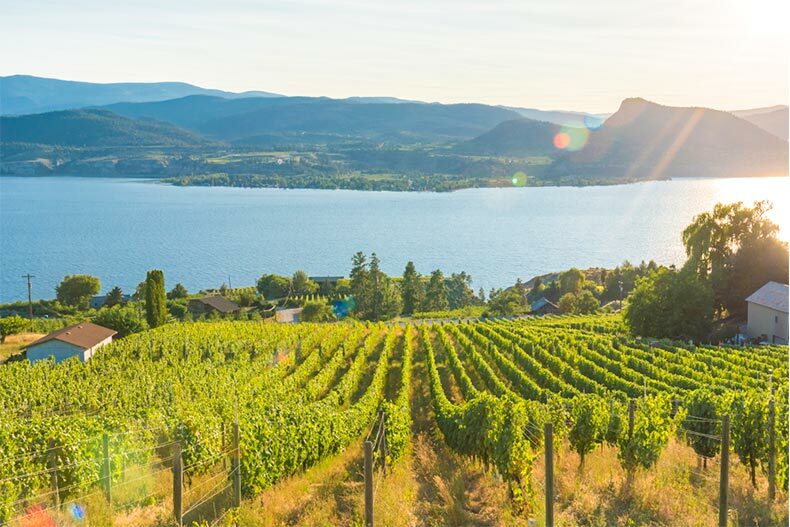 Filled with scenic mountains and coastlines, the region features a range of active adult communities, many of which provide up-close views of some of the best natural landscapes that the Pacific Northwest has to offer. States such as Oregon and Washington, in particular, are especially popular due to their offering of both urban centers, like Portland and Seattle, respectively, alongside a variety of natural surroundings. Whether you prefer the comforts of large cities or would prefer to retire to explore the great outdoors, there’s no question that the Pacific Northwest will have whatever it is you’re looking for. 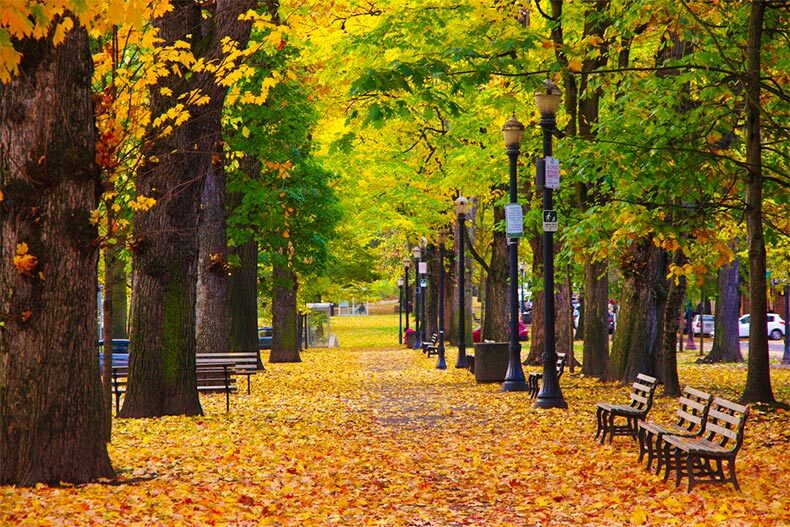 Portland is a city with plenty of green spaces. But of course, Oregon has plenty of slower-paced regions for retirement. Home to the city of Portland and many natural beauties like Crater Lake National Park and Cannon Beach, Oregon stands out to retirees looking to have the best of both worlds. Considered to be one of the most environmentally friendly cities in the world, Portland is a blend of both city life and the natural world. Parks and gardens are scattered all throughout the city, many of which play host to the variety of arts and music festivals held throughout the year. Nature lovers will enjoy Portland’s numerous gardens, including the International Rose Test Garden, which houses more than 8,000 roses and the Lan Su Chinese Garden, which can be found in the hills above Washington Park and serves as a nature lover’s haven. Retiree’s will also appreciate the many free attractions found throughout the city, such as the many area breweries and distilleries that offer free tastings and tours, the Wells Fargo History Museum, and the historic Pioneer Courthouse Square. In terms of communities, there are a couple options to consider. The Woodburn Estates & Golf is a favorite among golfers thanks to its private 18-hole golf course, which frequently hosts golf tournaments throughout the year. Other amenities include the 26,000 square-foot clubhouse, which comes complete with an exercise room, an aerobics studio, and an indoor pool. Some of Oregon’s best natural wonders are within driving distance with both the Oregon Coast and the Cascade Mountains being just two hours away. Another community to consider is Ceres Gleann, which is located in the town of Dallas. A close-knit community of 134 residences, Ceres Gleann is quiet and intimate, which allows for homeowners to fully immerse themselves in nature. Just outside of the community is the Baskett Slough National Wildlife Preserve, which provides outdoor recreation in the form of fishing, hunting, hiking, wildlife observation, and more. While Portland offers much to like, it’s not the only big name city in the Pacific Northwest region. 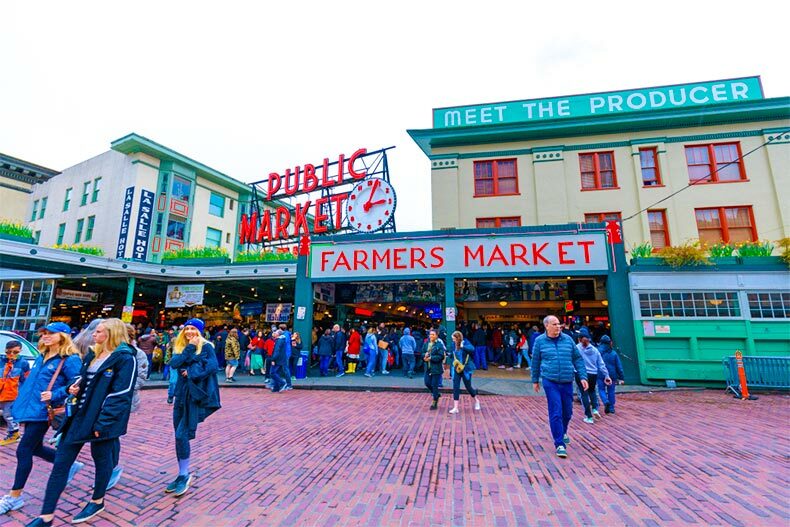 Seattle is another popular destination for retirees thanks to its quaint atmosphere, as well as its distinctive shopping, dining, and entertainment. Of course, one of the top spots in the city is the iconic Space Needle Observation Deck, which provides an unmatched view of the city in all its grandeur. In addition, Seattle is noted as a coffee lovers paradise. The city is home to the original Starbucks plus a number of popular and smaller-scale coffee shops. But, if city-life isn’t your cup of coffee, there’s plenty more to explore in the state. Washington is home to many natural wonders. For hikers looking for a challenge, Granite Mountain should be on the top of the list. From its peak, hikers will have beautiful views of not only Crystal Lake, but also Mount Rainer and Kaleetan Peak. Climbing to the top is a challenge, however, as every mile you go makes you gain nearly 1,000 feet in elevation. Another great spot is the Mount St. Helens National Volcanic Monument, a 100,000 acre volcano which famously last erupted in 1980. Now open to visitors to climb and explore to their delight, the volcano has since become a spot for nature lovers to bask in all that Washington has to offer. In terms of active adult communities, Seattle has a couple of options that sit just outside the city. Just twenty miles from downtown lies Providence Point, a larger community of over 1,000 attached homes and condominiums. The community features four community centers and several outdoor amenities, including miles of nature trails, gardening plots, and a gazebo. For those looking for a more intimate community, there’s Cascara at the Villages. Made up of just 122 single-family and attached homes, Cascara at the Villages takes full advantage of its setting by offering easy access to parks, lakes, and golf courses. While there is no clubhouse, the community more than makes up for it with its outdoor amenities, such as the outdoor patio, the picnic and garden area, and the many walking and biking trails scattered throughout the community. The Pacific Northwest is a region of limitless wonders. With such a magnitude of cities and natural landscapes to check out, retirees will have no problem in making their retirement one of adventure and excitement should they move to the region.